If I could, I would eat pasta every day of the week. I know that sounds crazy, but I would. There are so many types of pastas out there that I wouldn’t have to eat the same thing twice. Luckily for me, pasta isn’t at all expensive. 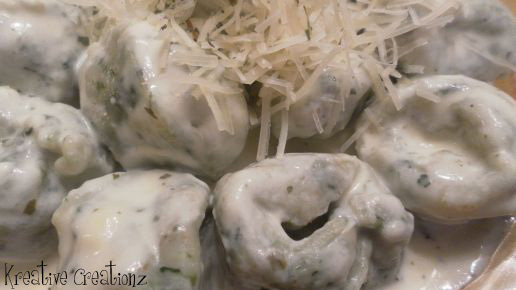 I can also add some variety by topping my pasta with grilled veggies, meat sauces, or fresh herbs. 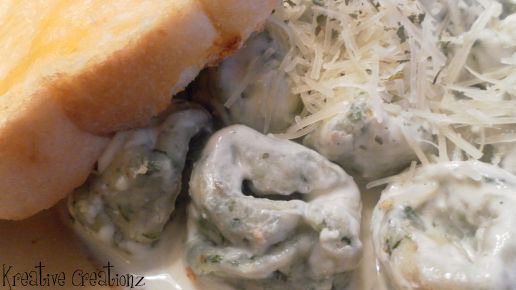 One of my favorite pastas is tortellini. 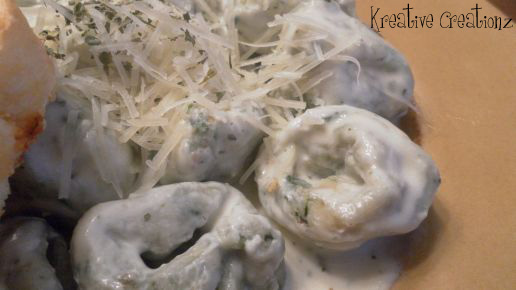 I was introduced to this pasta when I lived in the Tuscany region of Italy for three years. I fell in love! I can have stuffed pasta and eat several pieces in one bite? Yay! 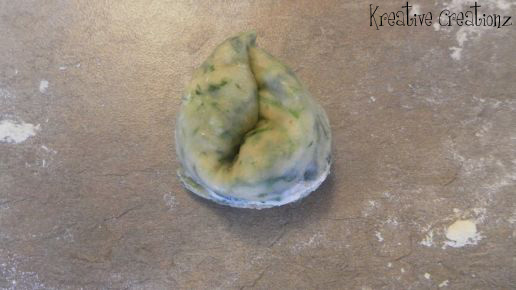 I tried my hand at making my own tortellini and if I do say so myself, it came out perfect. Enjoy! Pour the all-purpose and the whole wheat flours onto a lightly floured surface. Using your fist, make a well in the middle of the pile of flour. 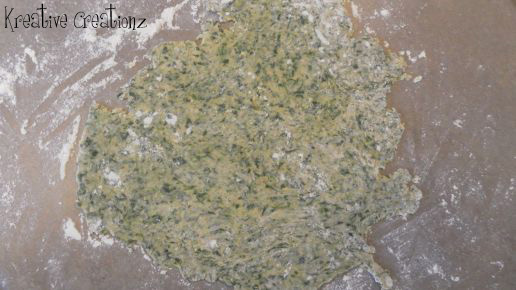 Using a food processor, blend the eggs, spinach, 2 tbsp. oil, and 1 tsp. salt on low for 1 minute. 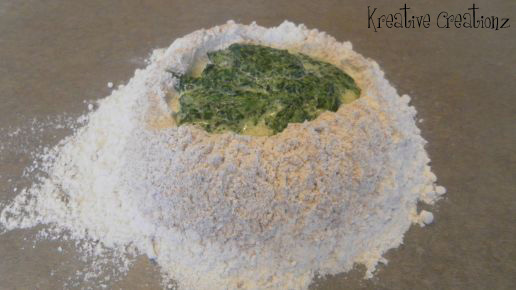 Pour the mixture into the well in the center of the flour. Using a single finger, make a figure eight into the flour and mix the eggs and flour together. 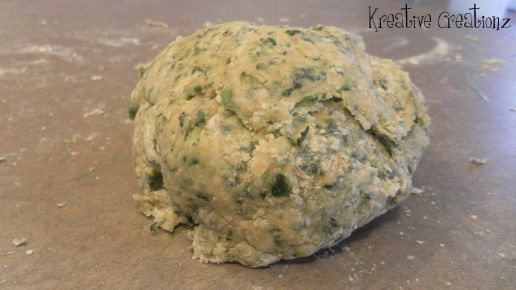 Once the flour and egg starts to mix, use both hands to knead the dough for 2 minutes. 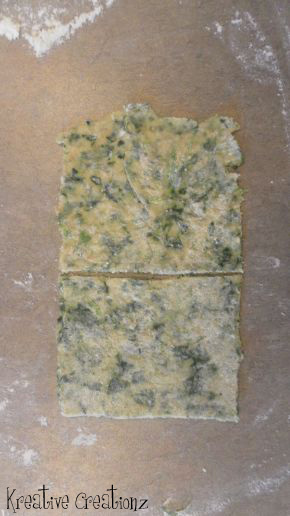 Lightly flour the surface again and using a floured rolling pin, roll the dough until it is as flat as possible. Cut the dough into even squares and place the squares on a cookie tray. 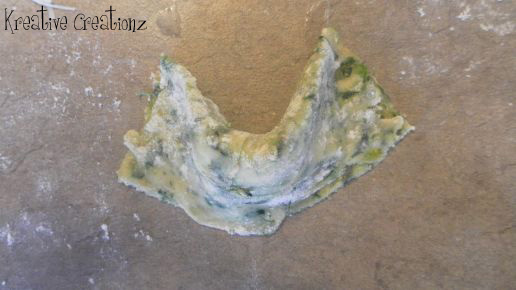 Removing one square at a time, roll each square as flat as possible and cut in half (each half makes one tortellini). Put a ½ tsp. 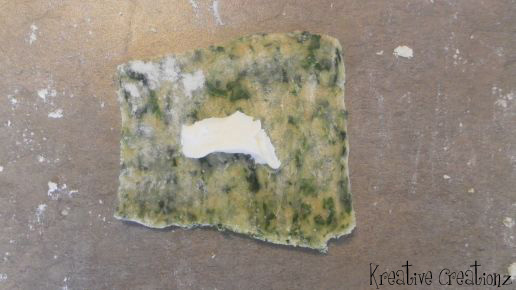 of ricotta cheese in the center of one of the half squares. Use the egg wash around the edge of the square. 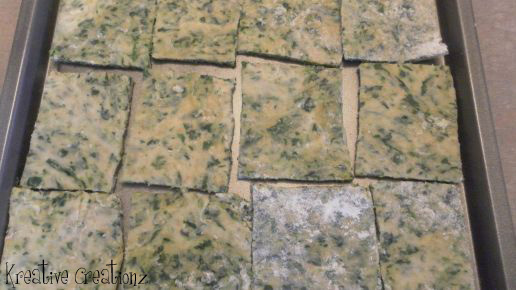 Fold the top of the square down over the cheese, making sure the edge of the top is even with the edge of the bottom. Firmly press the edges together to seal. 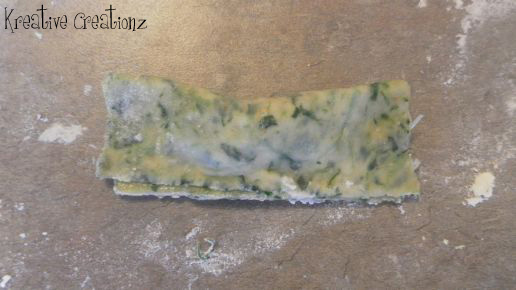 Turn the left and right sides upwards and seal together using the egg wash. Continue making the pasta until the desired serving size is reached. In a medium pot, bring water, 1 tsp. salt, and 1 tbsp. oil to a boil. Add pasta and reduce heat. Cook on low to medium heat for 25-30 minutes or until pasta is al dente. In a small pot, bring all ingredients for sauce to a boil. Serve warm on top of pasta. Great recipe! i do something similar BUT my finished pastas do not look as good as yours do! 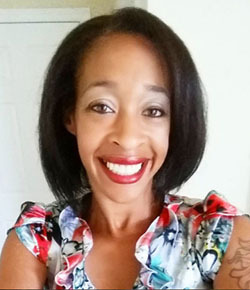 Thank you for sharing at frugal fit family! Looking forward to reading more! Thank you for hosting a great party, Heather! This looks so delicious!!! 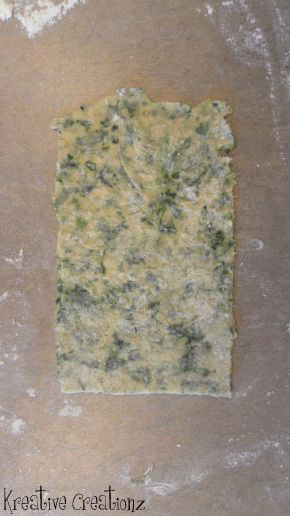 I love spinach and pasta! Thanks for sharing @ Submarine Sunday!!! Thank you so much for hainvg me, Jackie! OMG this looks so good!! I’m in love with pasta too!! Hope you had a great anniversary! I had a great anniversary, Cindy! Thank you for asking. You will love it, Lyuba!